Nature is fine with me, I’ve no real quarrel with it: it’s certainly nice, I suppose, but…well…I just don’t care that much. Until, that is, I come across a picture like this. 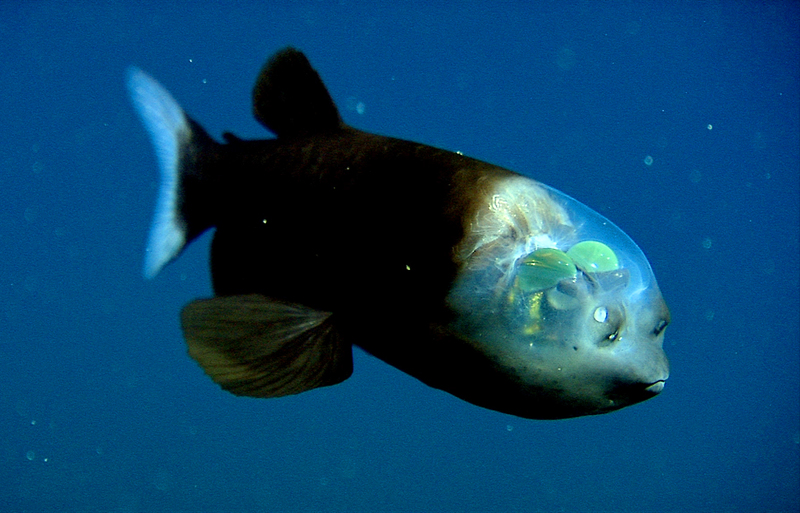 Apparently this is a real fish. As in it is swimming around somewhere…allegedly. Amazing doesn’t really cover it. Oh…and those green orb-like things are its eyes looking upwards (of course).